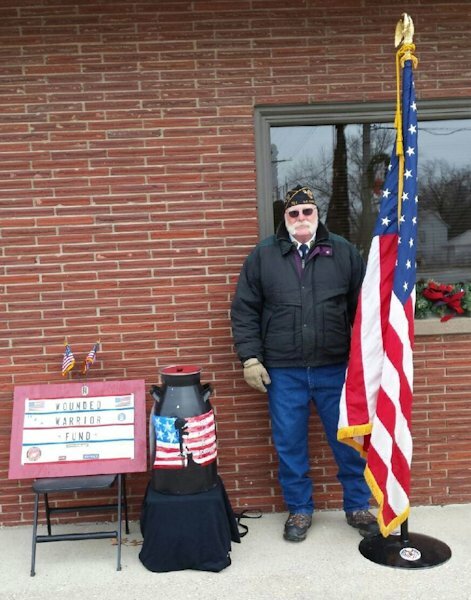 American Legion Post #301 Commander Harry Fark of La Harpe, collected $250 for disabled veterans on the morning and afternoon of December 2nd. It was orginally thought they would donate the money to the Wounded Warrior Fund, but upon researching the organizations that help disabled veterans, it was decided to donate the funds to The Disabled American Veterans organization. Fark had found that a much bigger percentage of donations goes to help the veterans (75%) over the Wounded Warrior Fund where only 58% of the money actually goes to help wounded veterans. All donations were very much appreciated.